This lightweight mini tool strop is ideal for attaching a handsaw or chainsaw to your climbing harness. 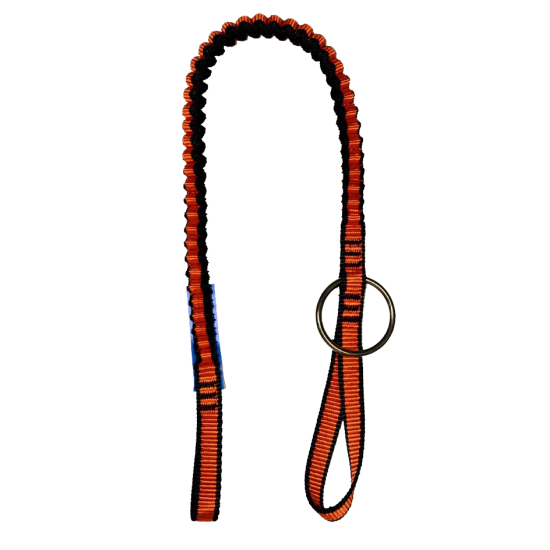 Manufactured from 25mm tubular polyester webbing, the mini bungee tool strop features a rubber core to reduce slack. 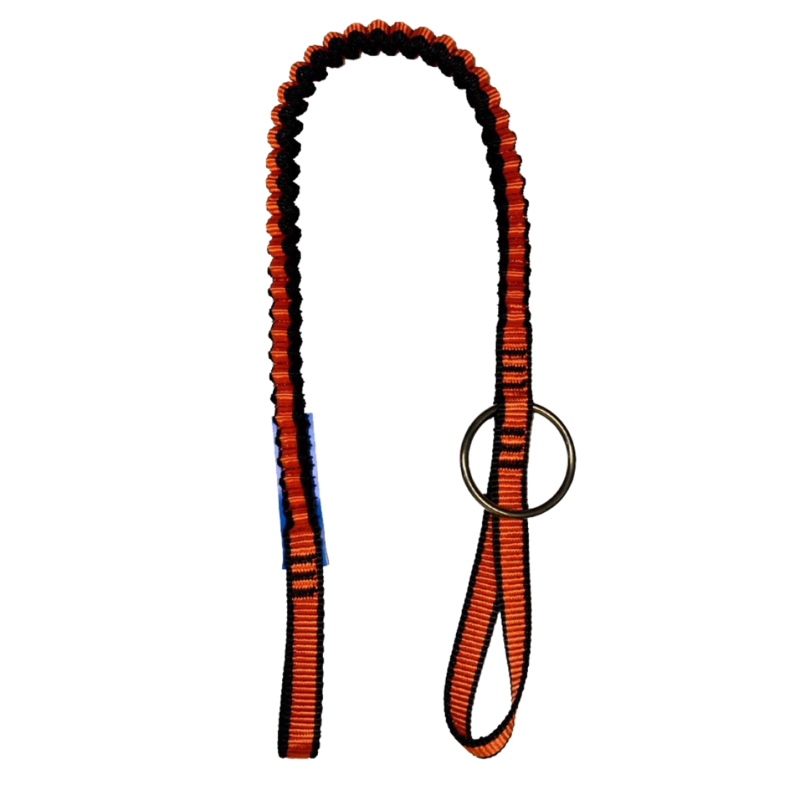 With a terminated standard loop on one end & and inverted loop at the other end including a steel ring, this mini bungee tool strop can be shortened to keep your saw at arm’s length. The strop measures 1.2m when fully extended which is long enough to get the saw out of harms way quickly & has a safe working load (SWL) of 30KG. Each tool strop is marked with a unique serial number to assist with tracking & inspections.